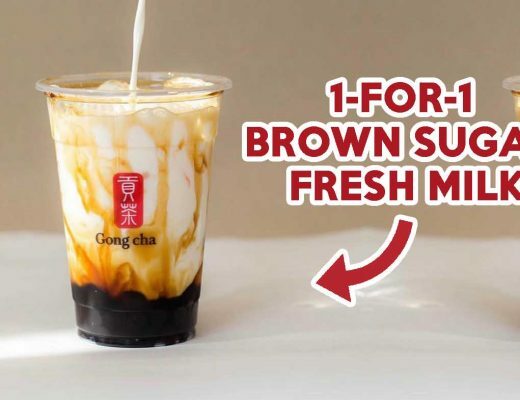 Before we could even satisfy our Samurai Burger and Twister Fries cravings, McDonald’s has already come up with a spankin’ new item this 2019. This time, it’s a new dessert line called Popcorn Caramel. The yellow-hued ice-cream was just released today and we can only presume will be the talk of the town once news gets out. 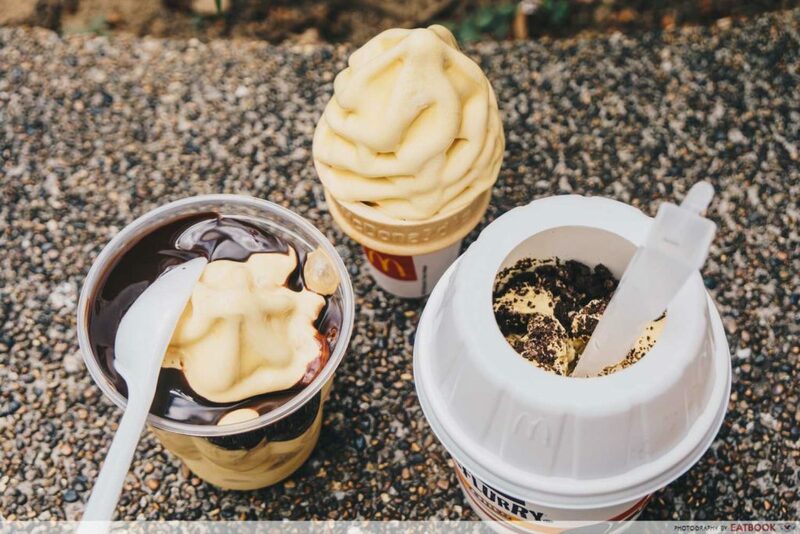 There are five sweet treats for you to beat Singapore’s heat with, namely Popcorn Caramel Hot Fudge Sundae ($2), Popcorn Caramel McFlurry® ($3), Popcorn Caramel Chococone Soft Serve ($1.20), Popcorn Caramel Cone ($1), and Popcorn Caramel Twist Cone ($1). 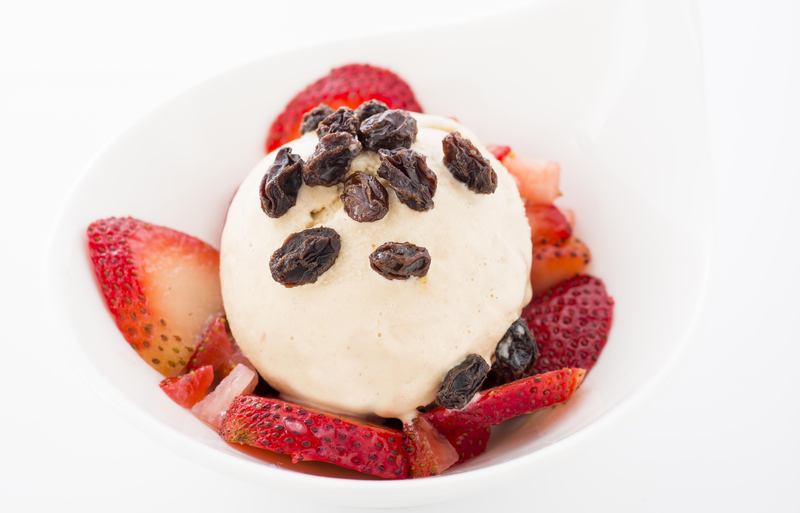 We liked how the popcorn ice-cream is not too sweet and has a nice creamy mouthfeel. However, we wished it was less milky, with a stronger popcorn flavour. There was none of that buttery goodness too, which you would normally expect in popcorn. That being said, it did make for a lovely post-fast food treat, as it was not too heavy on the palate. 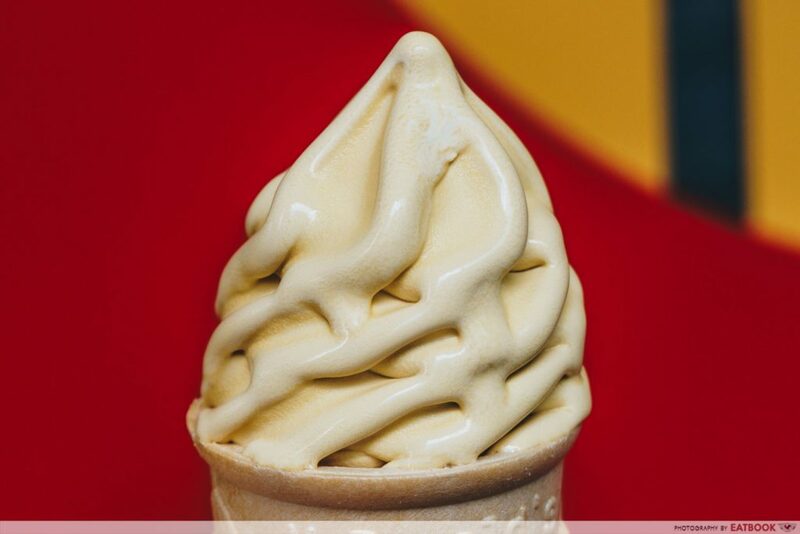 The twist cone is our favourite, as the vanilla soft serve uplifted the flavour of the Popcorn Caramel ice-cream. 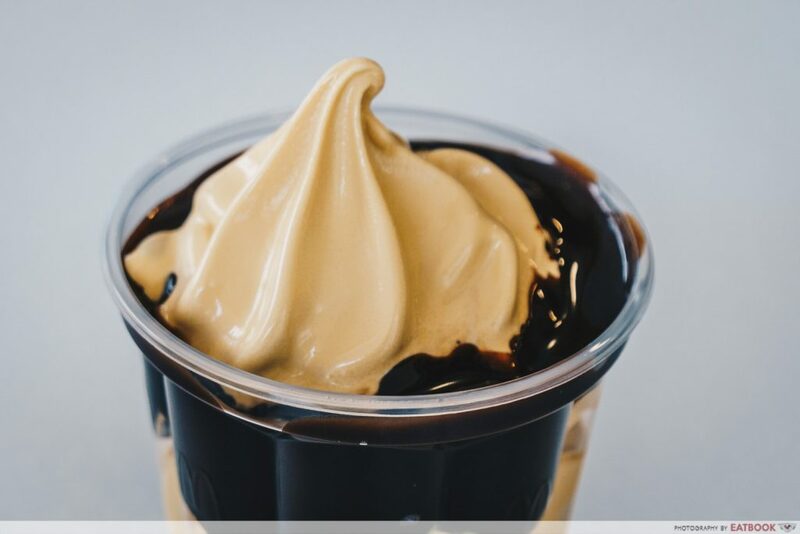 Pus, it’s the same price as the normal soft serve, making it the most affordable Popcorn Caramel ice-cream of them all – you won’t have to dig your ang baos to enjoy this new treat. 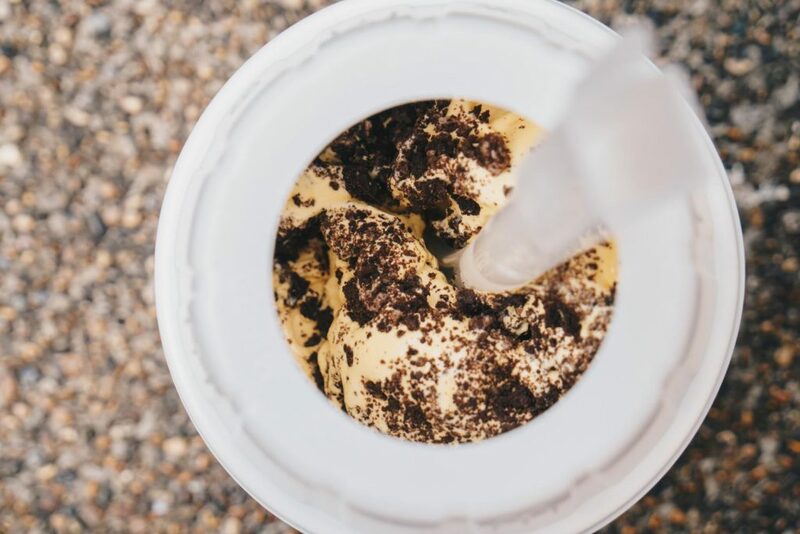 The McFlurry is another must-try, where the smattered Oreos paired really well with the ice-cream. Skip the Popcorn Caramel Hot Fudge Sundae, as it can get really decadent. This version – if you didn’t already know – comes doused in a thick, sticky chocolate sauce, making it super cloying. 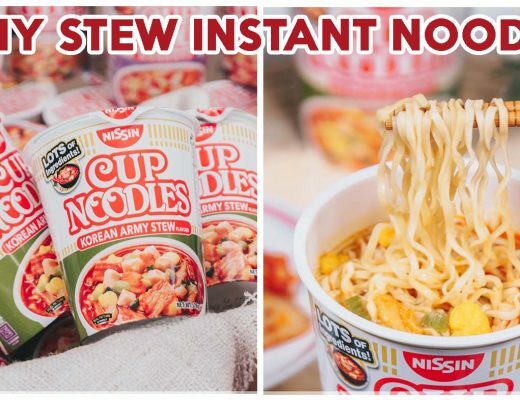 Plus, the chocolate and treacly popcorn flavour clashed, and left us begging for a glass of ice water to wash it all down. Exclusively sold at McDonald’s 37 Dessert Kiosks, you won’t be able to score this treat via McDelivery or at any regular McDonald’s outlet. For those shopping around town, the only McDonald’s Dessert Kiosks in the area are at Lucky Plaza and Plaza Singapura.